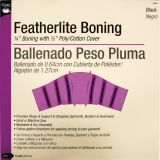 Featherlite Boning 12yd - DRITZ-Featherlite Boning. 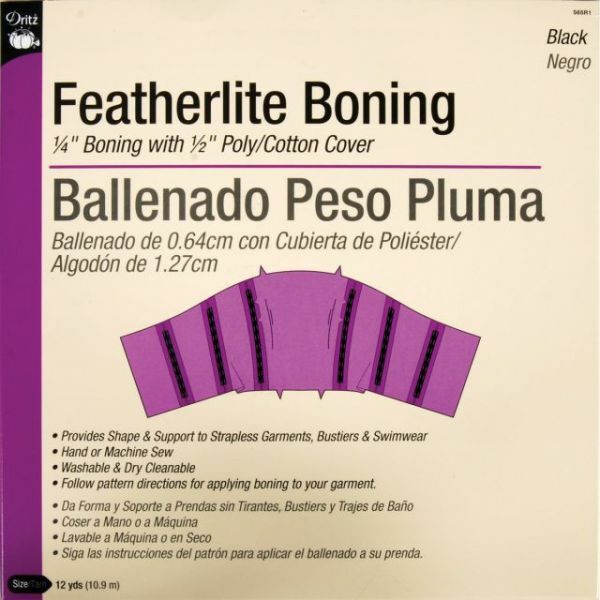 Use this boning to provide shape and support to strapless garments, bustiers and swimwear. The boning is 1/4 inch with 1/2 inch poly/cotton casing. It can be hand or machine sewn, and is washable and dry cleanable. This package contains 12 yards of boning. Color: Black. Imported.